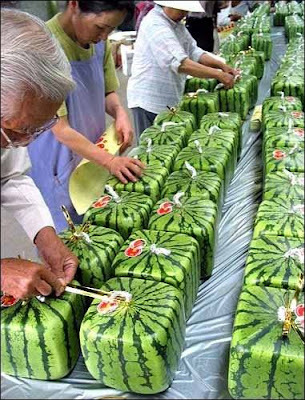 Square watermelons may sound silly, but I kid you not, this is the real deal. 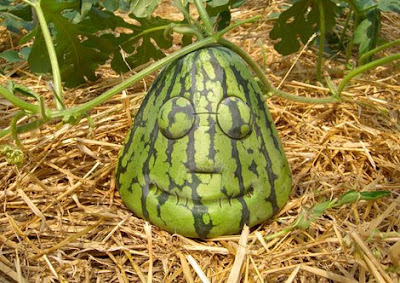 Farmers in Japan are growing them like this! And I can see the benefit of a square over a round for things like packaging and shipping and saving space in grocery stores. I can also see the downside, having to bite into an angular slice of fruit as opposed to a curved slice. Boo to that. But whatever you fancy, square or round, you've got to admit, the square looks pretty neat. 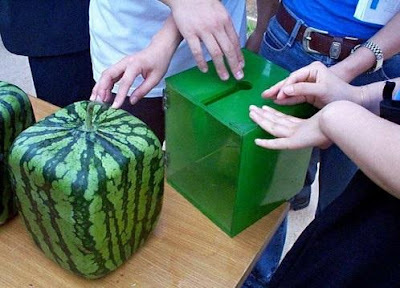 You can even make this a DIY project and grow your own square watermelon. There's a website that sells those square containers. But who said anything about square? 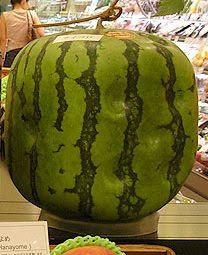 Turns out you can grow a watermelon into just about any shape. Take a look at this face. 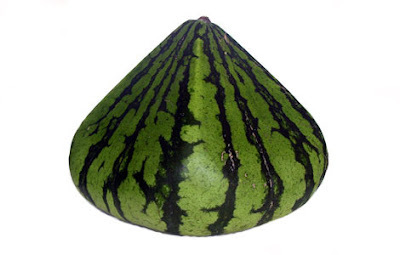 And if you look closely, you'll see that the watermelon below has indentations to imitate playing dice. I think those are so pretty! It would be fun to grow unusual shapes! 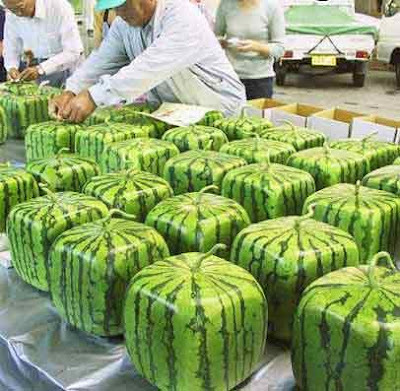 joyce - well, now you know where to get a square watermelon container! what's stopping you? ?